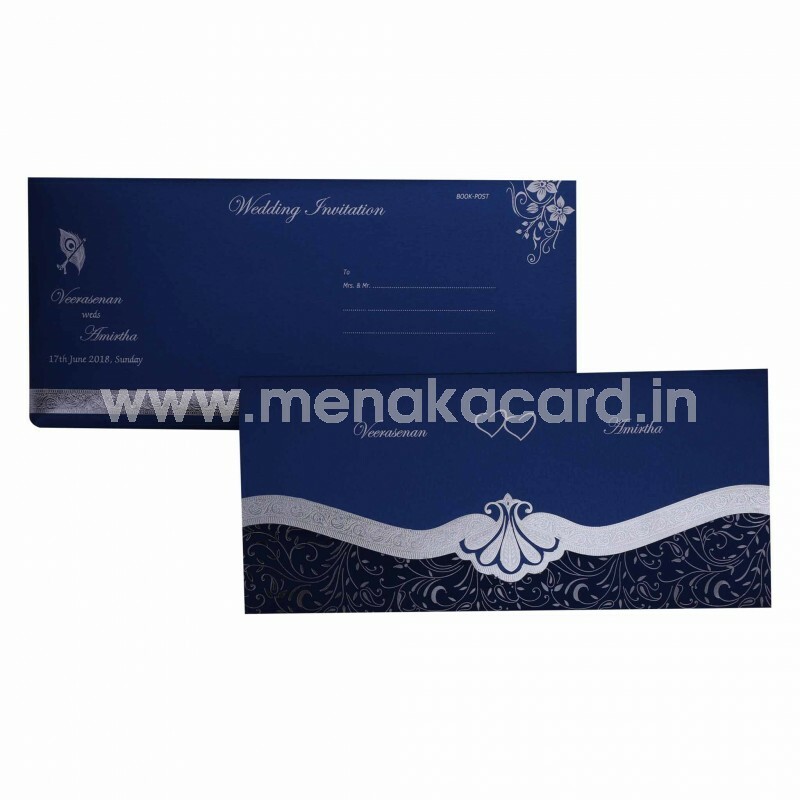 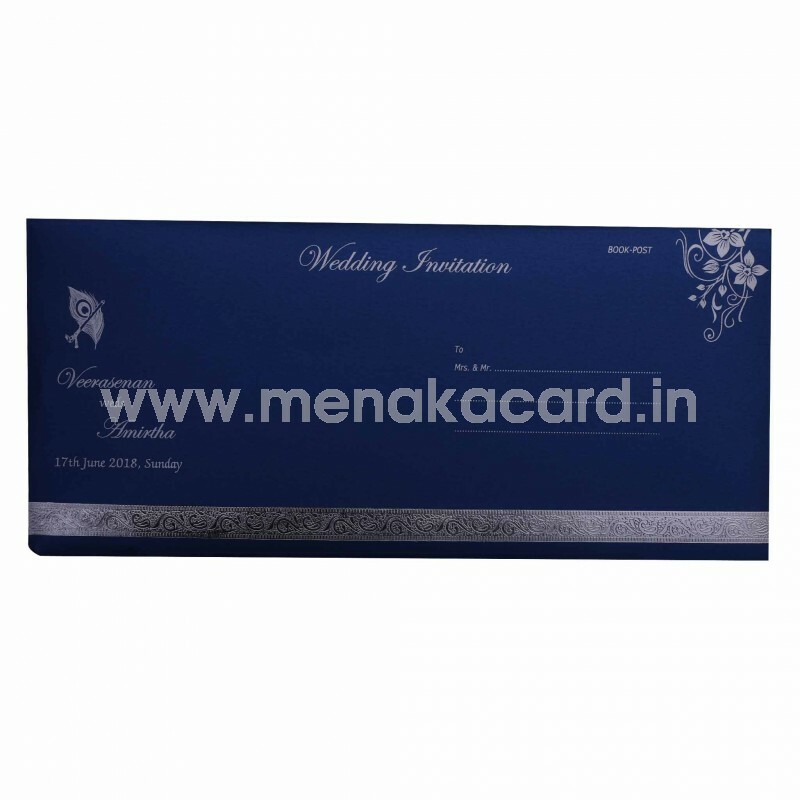 This Refined Blue and silver laptop folding card is printed on a royal blue shimmer board, with a silver foil border on the main flap and an ornate mango paisley frame containing a beautiful peacock feather like cluster design printed in silver foil as well. 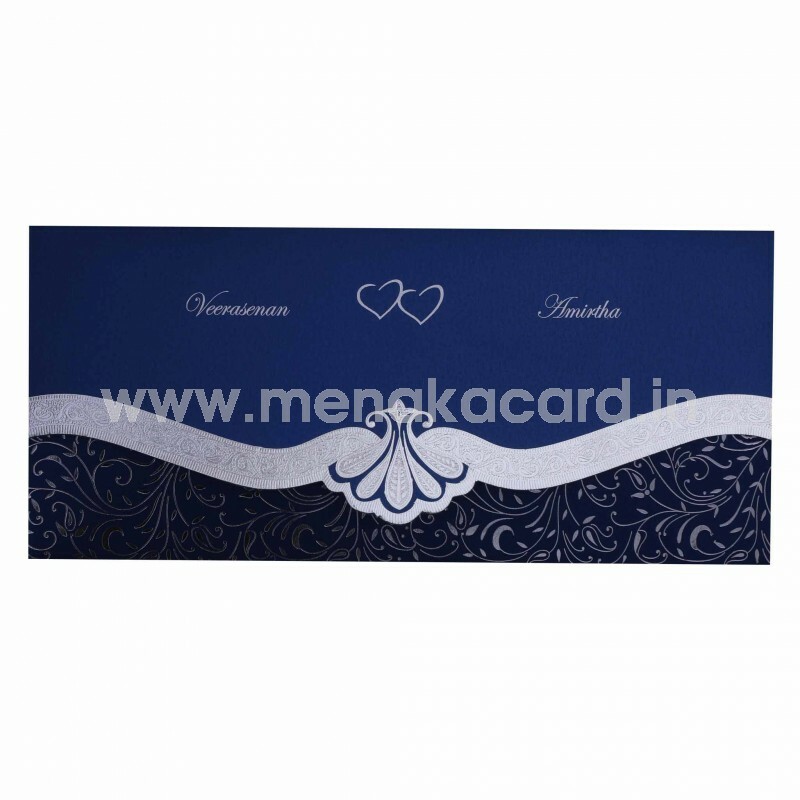 The bottom of the flap has a traditional leaf paisley pattern in silver foil that also holds the simple blue and silver inserts in the same material as the card. 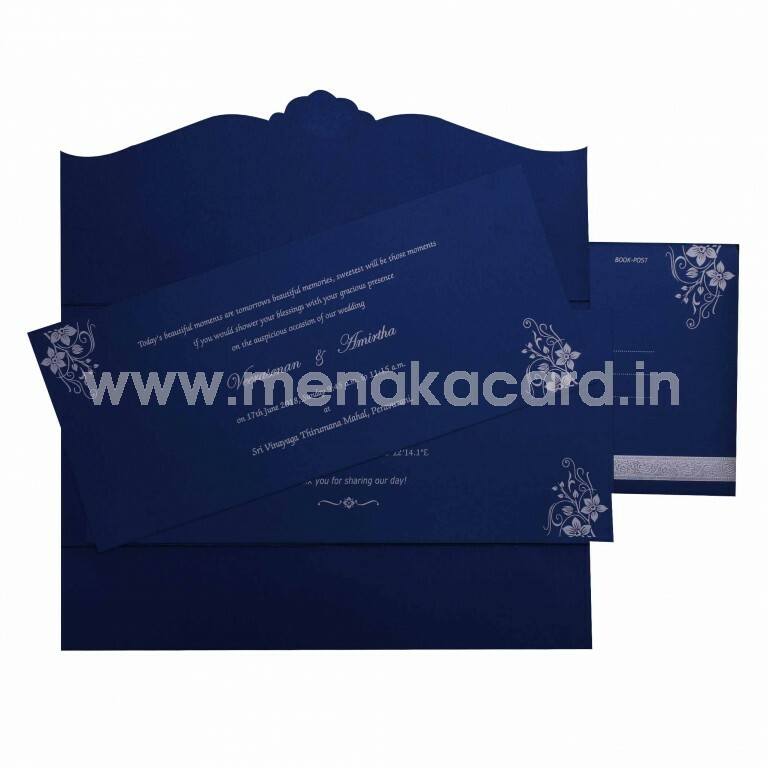 The silver foil border is also mirrored on the envelope of the card that carries the silver and blue theme. This can be used for Hindu weddings and can also be altered for Christian and Muslim weddings as well as any other ceremony such as reception, engagement, ear-boring, puberty and upanayanam.